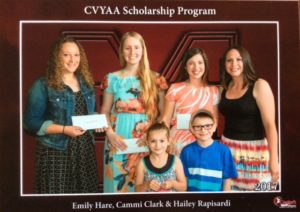 This Year we were able to provide 3 lovely young ladies with $500 each to put towards their educational dreams. Pictured below are Annie Hester, Katie Warner, Victoria Hinds. 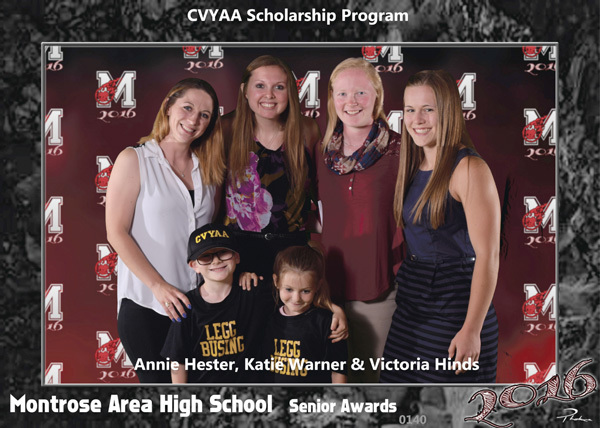 Presented by fellow CVYAA players Delos, Dionne & Kayla Stone on June 4th, 2016. We are proud of all 3 of these lovely young ladies and CVYAA wishes them the best of luck!